We specialize in providing all grades of syrup in 5-gallon containers or cases of gallons (4 per case) straight from our farm to your commercial kitchen or restaurant table. We also offer maple cream products by the case in the quantities listed below. We will be pleased to give specific information about wholesale products & associated shipping charges. Call (413) 268-7509 or use our Quick Reply Form. We will get right back to you. The prices listed below are our LATEST BULK PRICES. Please note that prices are SUBJECT TO CHANGE WITHOUT NOTICE. We hot-pack all syrup before shipping, but you must be able to refrigerate the syrup in the 5-gallon containers upon receipt. If you can’t do this, a case of gallons would be more suitable. Retail-style gallon containers are shelf-stable until opened, at which time they must be refrigerated. 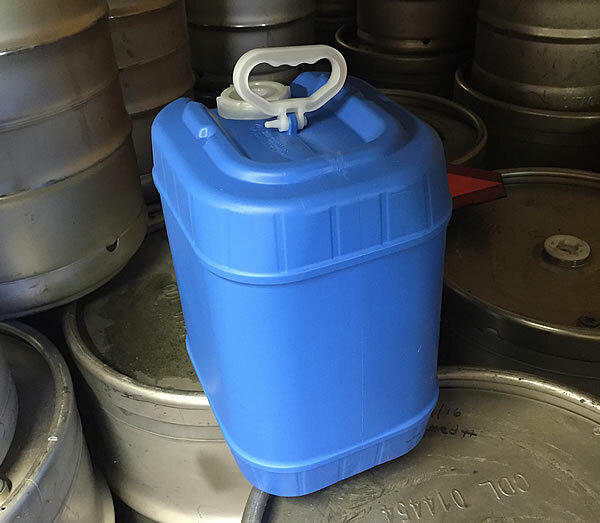 We ship in 5-gallon containers that are DOT approved for shipping anywhere in the contiguous United States. 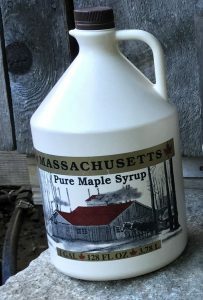 All grades of our syrup cost the same: $250 for a five gallon container. We will calculate your shipping rates at time of checkout to get the lowest available UPS rate based on your location. These retail-style containers are hot-packed and shelf-stable until opened, at which time they must be refrigerated. Cases of four one-gallon maple containers cost $210 plus UPS Ground shipping, which will be calculated at the time of checkout. Prices for all grades (Golden, Delicate; Amber, Rich; Dark, Robust; and Very Dark, Strong) are the same, and you can mix grades within a case. Note: Glass Maple Leaves ship with Light Amber syrup only. We ship via UPS Ground and shipping charges are added to the invoice at the time of checkout. We will mix grades within a case but we do not mix sizes within a case. Please note that we custom fill and pack all case orders and therefore would appreciate enough lead time to get your order to you when you want it. We reserve the right to add a 20% premium to the price of all custom orders that we receive within three weeks of the required shipping date. 3.4 oz. Jug (24 per case) – great for table favors or to put into gift baskets.